Born and raised in Istanbul, one of Europe’s most multi-cultural and cosmopolitan cities, Arli’s culinary journey began in his mother’s kitchen where he prepared inventive meals for his family using indigenous produce, spices and herbs. A hotel management degree from Swiss Hotel Association in Zurich, Switzerland, hands on training in Switzerland at Kursaal Baden A.G., combined with an innate flair for creative cooking cemented Arli’s dream of pursuing a career in high-end catering and event planning. At the age of 19, Arli was hired by the five-star Hilton Hotel in Istanbul to perform “tableside cooking and serving”. Arli’s considerable talents were put to use in preparation of elaborate, elegant entrees such as Chicken Bombay or Steak au Poivre followed by a spectacular finale of desserts flambé. Several years later, the Istanbul Sheraton recruited Arli as their Chief Sommelier. Arli dreamt of coming to the United States to attend Cornell University. To earn tuition, Arli accepted a job with Royal Caribbean Cruise Line; eventually settling in America. The culmination of Arli’s vast qualifications, experiences and natural talents landed him the Catering and Banquet Director and Assistant General Manager position overseeing planning and coordinating at the legendary Chasen’s restaurant in Los Angeles. Arli had an illustrious, fulfilling career with Chasen’s for nineteen years. Chasen’s was flooded nightly with a variety of clientele; including studio executives, movie stars, politicians, or international dignitaries. One of Arli’s most memorable Chasen’s experiences was an extravaganza that doubled as President Reagan’s 86th birthday party and the opening of his Presidential Library. Chasen’s was selected as the venue for the party for sentimental reasons; Ronald Reagan proposed to Nancy Davis in a private booth. The party was held in a canopied tent in Chasen’s parking lot with Merv Griffin acting as host and emcee. The list of over 400 prominent guests included President Gerald Ford, General Colin Powell, and California Governor Pete Wilson. Everything was arranged to perfection with only one thing missing, the guest of honor who was at home due to doctor’s orders! This was a night that shined in memories of those who attended for a very long time. During President Reagan’s term in office, Chasen’s was also the only Los Angeles restaurant he patronized, complete with his entourage of secret service members. Every Sunday evening President Reagan dined on his favorite meal: Caesar salad, Cheese Toast, Chicken Pot Pie, and Coupe Snowball. Another fond Chasen’s recollection is the evening of a movie premiere honoring John Wayne. Among the many guests in attendance were Bob Hope and Elizabeth Taylor. One of the special menu requests was the “famous Chicken Pot Pie” which was prepared for everyone except Elizabeth Taylor, who special-ordered squab. Mr. Hope (unaware that the squab was a special order) decided to indulge in Ms. Taylor’s squab whilst Ms. Taylor was in the powder room. Taylor returned to her table to discover part of her specially ordered entrée was missing! Fortunately, Arli was well prepared and had another squab ready to be served immediately! Chasen’s closed for business in April of 1995, however, Arli’s measureless knowledge of catering, event planning, and hotel and restaurant management was invaluable. Arli’s Exclusive Catering was established and soon became the talk of Tinsletown. Arli is also no stranger to movie premieres, awards banquets and ceremonies, and celebrity parties for hosts or hostesses such as Arnold Schwarzenegger, Andy Garcia, Demi Moore, Ashton Kutcher, and Elton John. Arli’s Exclusive Catering is oftentimes instrumental in making a bride and groom’s wedding day extraordinary, magical, and worry-free. Birthday parties, baby showers, engagement parties, store openings, holiday gatherings, small or large dinner parties are made all the more elegant and special with the guidance of Arli and his professional team. Arli’s catering career is full of highlights including catering the opening ceremony parties for the Richard Nixon and Ronald Reagan Presidential Libraries together with several gatherings hosted by Universal Studios Chairman Lew Wasserman honoring of President Clinton. 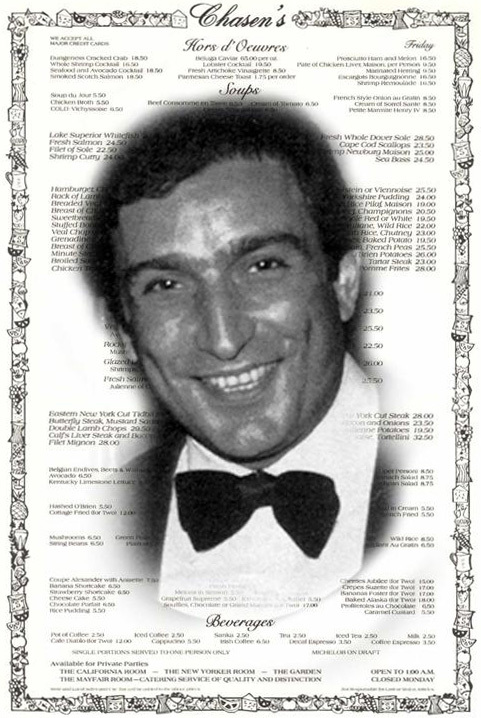 In 2004, Arli’s Turkish-American peers bestowed him with an award in recognition of his outstanding acts of benevolence, goodwill, and support for his fellow expatriates and the community. Arli’s personal interests are as varied and unique as is his career. He is an avid, competitive tennis player, swimmer, and martial artist. Arli created his first martial arts uniform from sugar sacks. In his youth, Arli was a lightning track runner specializing in the 110-meter hurdles. He enjoys any and all forms of music and particularly enjoys playing the hand drum native to Turkey. All Images Copyright © 2019 Arli’s Catering, All Rights Reserved.